There’s something wonderful about working with your hands. 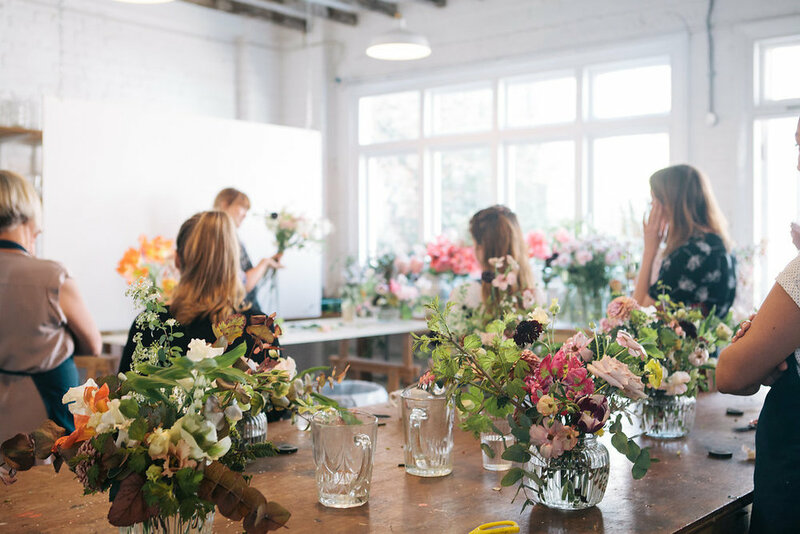 Floristry has a calming, restorative effect. We call it flower therapy. Our workshops are designed to inspire. You’ll leave full of confidence and an urge to create. For friends, for teams, for flower lovers flying solo. Beginners or seasoned snippers. The experience is relaxed, fun and filled with flowers. Join us for an evening of floral appreciation, there's something for everyone. 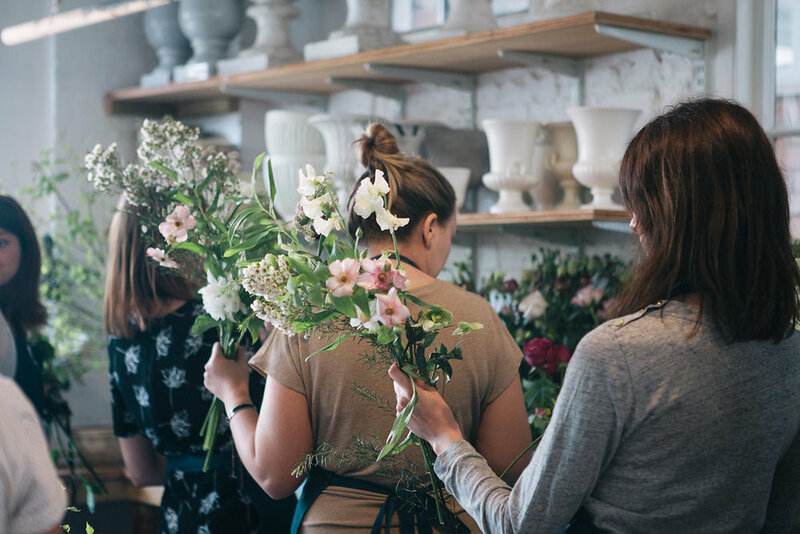 You can learn how to make a fresh flower head dress, hand tied bouquet, low vase arrangement, tall vase arrangement and Christmas Wreath. The workshops happen at our studio in Hackney, East London and last up to two hours. We are passionate about using British flowers. Throughout the summer season we use as many British flowers as possible from our cutting garden in Hackney and local growers. All flowers, materials and a glass of fizz are provided. Find out more and book below. You can buy flower Vouchers below.